Richard Daley of Chicago holds a legendary place in this history of U.S. mayors. 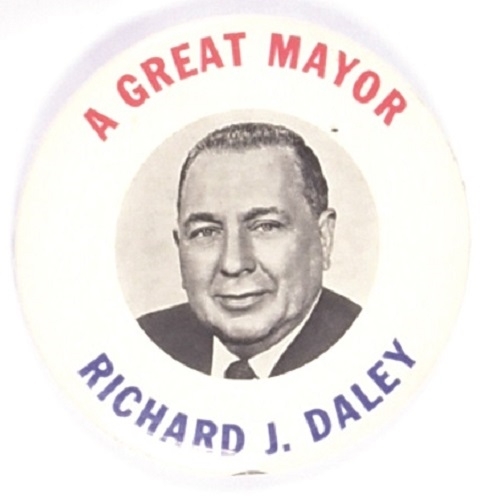 This scarce celluloid pin is a 3 1/2 inch item from the Bob Rouse collection from the early years of Daley’s run as mayor that lasted from 1955-1976. Excellent condition.